This research focuses on a mining frontier in the municipality of Canaã dos Carajás, located in the Brazilian Eastern Amazon. The method involved a combination of secondary data with field research. The latter is based on in-person interviews with a sample of 253 households. The paper analyzes the municipality and its inhabitant’s socioeconomic situation and captures the views of residents about life in the town. The results showed that mining played an important role in increase of Canaã’s income and exports, despite the late 2000s economic crises. Consequently, many socioeconomic indicators improved in Canaã. However, inequality increase and employment fall associated with S11D operation pose challenges to the municipality—currently and possibly in the future. Canaã expects high amounts of royalties of iron ore exploitation. These royalties can help the municipality’s economy if the planning and political-institutional contexts are adequate. Field work dataset showed that Canaã’s population is essentially migrant who arrived after 2004 seeking work and income opportunities, as an effect of mining growth. Nevertheless, people became more skeptical as a consequence of S11D operation and jobs loss, many businesses closure and drastic reduction of movement in the city. The results show the challenge to convert the increasing income from different stages of mining activity into permanently better and broader public services. 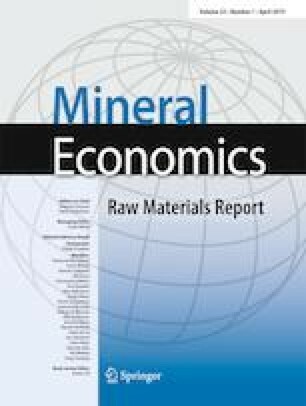 This result is especially important in the studied case of a recent town located in the southeast Amazonia, whose dynamics are strongly linked to mining economics, and faces effects of changes in stages of large-scale mining projects. The authors disclosed receipt of the following financial support for the research, authorship, and/or publication of this article. The authors acknowledge financial support from Instituto Tecnológico Vale. However, this institution did not have any involvement in the study design, collection, analysis, or interpretation of the data, the writing of the report, and the decision to submit the article for publication. The authors thank the two referees and the editor of this journal for helpful comments on earlier version of this paper. The authors, however, take sole responsibility for the content.